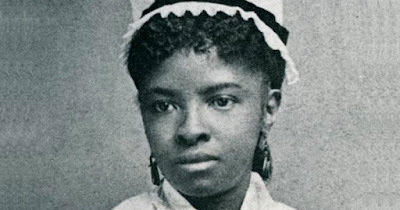 Mary Eliza Mahoney was the first African American to study and work professionally as a nurse in the U.S. Aside from being in the medical field for almost 40 years, she was also an advocate of women's rights back in her time. Born in 1845 in Boston, Mahoney always knew she wanted to be a nurse even when she was a teenager. Since then, she worked at the New England Hospital for Women and Children, a hospital which has an all-women staff of doctors and exclusively provides health care to women and their children. After working there for 15 years as a janitor, cook, washerwoman, as well as a nurse's aide, she got an opportunity to attend the hospital's professional graduate school for nursing at the age of 33 in 1878. Students who underwent the 16-month rigorous training program attended lectures and got hands-on experience in the hospital. Among the 42 students, only 4 were able to complete the requirements in 1879. Mahoney, who was one of them, then became the first Black person in the U.S. to get a professional nursing license. Mahoney used her nursing license to serve as a private-duty nurse instead of public-duty due to the rampant discrimination in the latter. She became known across the East Coast for her "efficiency, patience and caring bedside manner," according to the Women's History Museum. As an advocate of those in the nursing profession, Mahoney joined the Nurses Associated Alumnae of the United States and Canada (NAAUSC, later known as the American Nurses Association) in 1896. However, after experiencing discrimination at the NAAUSC which is a predominantly white organization, she decided to co-found the National Association of Colored Graduate Nurses (NACGN) in 1908. Mahoney was eventually selected as NACGN's national chaplain and a lifetime member. She also became a director of the Howard Orphanage Asylum for Black Children in 1911. Even after her retirement as a nurse, she continued championing for equal rights. She was one of the first women who registered to vote in Boston after the ratification of the 19th Amendment in August 1920. Mahoney died after a three-year battle with cancer on January 4, 1926, at the age of 80. Despite her death, her legacy has still been kept alive especially within the medical field. Since 1936, the Mary Mahoney Award, which was founded by the NACGN with the American Nurses Association, has been given to nurses and groups of nurses who make efforts to increase diversity and inclusion in the nursing field. In 1976, Mahoney was inducted into the Nursing Hall of Fame for being an inspiration for "both nurses and patients with her calm, quiet efficiency and untiring compassion." In 1993, she was also inducted into the National Women's Hall of Fame, the oldest membership organization in the U.S. that recognizes the achievements of American women in various fields.